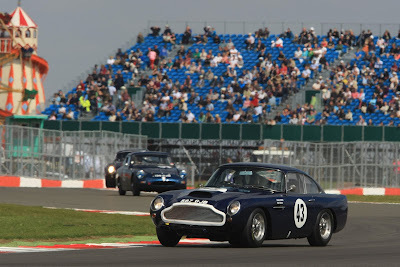 The 2011 Silverstone Classic – the world’s largest classic racing festival – was once again home to the Royal Automobile Club Tourist Trophy for Historic Cars. 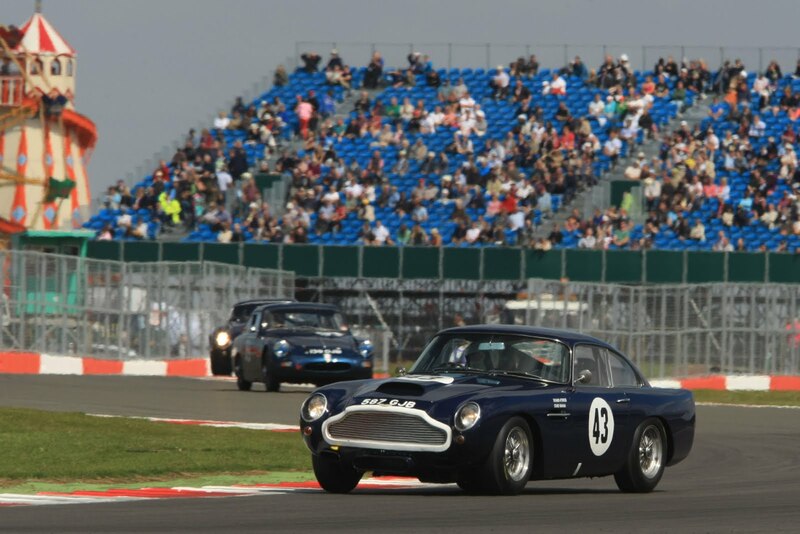 On Sunday 24th July, an awe-inspiring grid of more than 50 pre-1963 GT cars took part in a 50-minute race which saw the team of Stuart Graham and Richard Attwood power their Aston Martin DB4 GT Lightweight to an impressive victory. The Royal Automobile Club Tourist Trophy for Historic Cars celebrates Britain’s oldest motor race. First run on the Isle of Man in 1905, it is synonymous with GT and sports cars and has witnessed some of the greatest races ever held. Over the years, the Tourist Trophy has been won by such legendary drivers as Sir Stirling Moss, Graham Hill and Derek Bell. Instigated last year to commemorate the history of over a century of motor racing, the Royal Automobile Club Tourist Trophy for Historic Cars featured a field of cars worth an estimated value in excess of £80 million. Stuart Graham and Richard Attwood lift the trophy after a thrilling race. In a thrilling race led predominantly by Hans Hugenholtz and David Hart in a Ferrari 250GT SWB, victory was seized by Stuart Graham and Richard Attwood in an Aston Martin DB4 GT Lightweight after the Ferrari was forced to retire on the final lap. 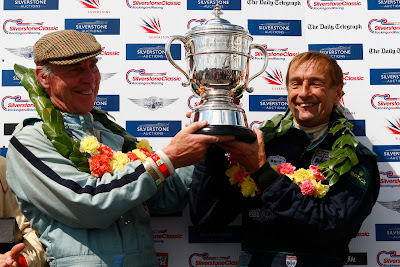 After last year’s second place finish, Graham and Attwood can chalk up another success to their impressive record as well enhancing the already illustrious past of the Aston Martin which has been delivering podium finishes at the hands of, amongst others, ‘Gentleman’ Jack Sears since the 1960’s. Ben Cussons, Chairman of the Royal Automobile Club Motoring Committee said: “"There is no motor race with greater history than the Royal Automobile Club Tourist Trophy, for over a century the best drivers and the greatest cars have battled for victory. Today's race was truly exceptional, Stuart and Richard drove a thrilling race in the fabulous ex-Equipe Endeavour Aston Martin to take victory on the last lap. Having finished third and second in previous years there was definitely unfinished business and team patron Paul Michaels was drilling his drivers to ensure that their pace on track would be matched in the pit stops. For Stuart it was a particularly special achievement as he is now the first man ever to have won Tourist Trophies on two and four wheels in period and to have won the Tourist Trophy for Historic cars. A magnificent hat trick and one that is likely never to be matched. The Royal Automobile Club applauds their success”.